Galbraith, is exclusively marketing the sale of Mabie Farm Park, an award-winning family farm park nestled beneath the magnificent Mabie Forest with views over the Solway Firth, in beautiful Dumfries & Galloway. 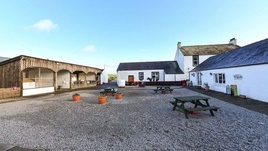 The business, which includes a shop, café, indoor and outdoor play areas, as well as two substantial residential properties all within 83 acres of land, has witnessed growth in recent years, with visitor numbers in excess of 60,000 last year. 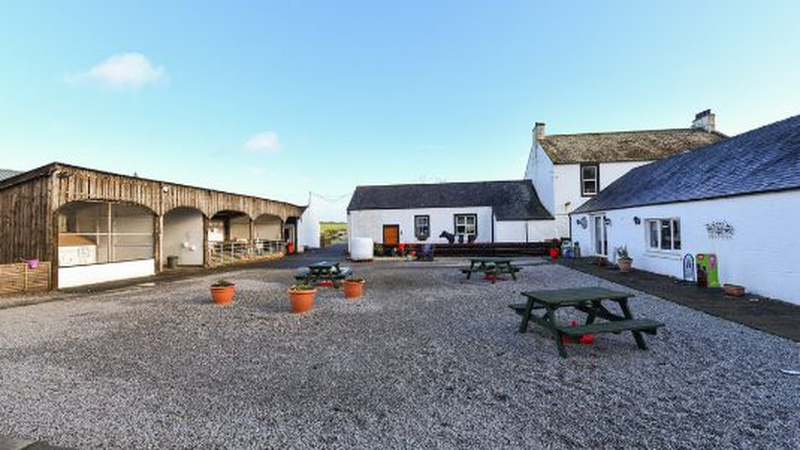 The sale also includes two residential properties – an attractive five-bedroom house, Burnside Farmhouse, and The Old Barn, a three-bedroom converted barn house which offers rental potential. The farmland is predominantly Grade 3 and Grade 4 grassland, currently used for the grazing of a herd of native breed cattle and a flock of commercial sheep. Most of the farm buildings are utilised for the farm park venture and provide a mixture of play areas, tea room, animal petting areas and farm shop. The layout of the farm has been primarily designed around the farm park. Mabie Farm Park is of an exceptional standard and has a proven financial track record. It represents a very exciting business proposition in its current form, as well as the opportunity to expand both the farm business and the park venture, subject to planning consents. The farm park has been run by the same owners for the past 19 years who have invested greatly in the business to make it the success it is today. There is considerable goodwill between the business and the local community, with recent attractions being created in response to customer demand. With two residential properties this sale represents an excellent opportunity either for established farmers or those new to farming as it offers a great work-life balance for a family and the chance to continue an established and successful business. An extensive range of indoor and outdoor activities and animal enclosures provide a great day out for all the family. The larger animals range from Shetland ponies to llamas, alpaca, and belted Galloway cows, with donkey rides also on offer. Particularly popular with children are the rabbits, guinea pigs and chipmunks and there are birds including peacocks, ducks and quail. Inside the animal barn there are cows, pot-bellied pigs and other animals with their offspring. Indoor fun is found in the straw barn with rope swings and straw bales and the separate play barn which houses a climbing wall, climbing frame and nets, trampoline and bouncy castle, ride on tractors and a seating area with picnic facilities. Outside, the activities for all ages range from a four-lane slide and jumping pillow, to go-karts, quad bikes, astroturf sledging tracks, and the Mabie Farm ‘Choo Choo Express’ which tours the whole park. There is also a boating pond with two and four-seater paddle boats and a wildlife pond where groups can enjoy pond dipping under supervision. Many school and group visits are organised at the park where trained staff talk about the animals and conduct handling and feeding sessions in the pets’ corner. Educational experiences also allow children to explore the countryside and learn about the food we eat. A variety of events are also hosted throughout the year from birthday parties to seasonal events including Halloween pumpkin picking and a ‘dinosaur invasion’ exhibition with 16 species of dinosaurs on display. Mabie Farm Park is situated only five miles from Dumfries, which provides a good range of amenities including schools, shops and retail outlets. There is also a good road network servicing the park with the A75 providing access to Carlisle in the east and Stranraer in the west. It also connects to the M74 motorway. Dumfries also has a main line railway station. Offers over £2,000,000 are being invited for Mabie Farm Park.